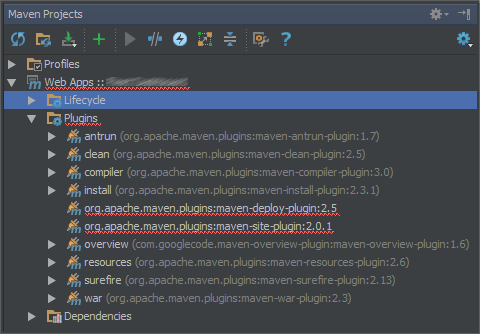 I don't know why Maven Deploy and Site plugins are not recognized and underlined in red in the Maven outline of my project (screenshot attached). None of them is declared in project POM neither in POM hierarchy. Does the tooltip on project node ("Web Apps::...") say anything?